My younger son is usually the toughest customer at the dinner table every night. 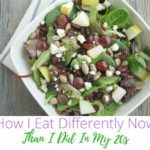 But when he was about five years old, he asked me, “Mommy, what’s a picky eater?” I was glad he didn’t know what it was, because that meant he was never labeled as one. 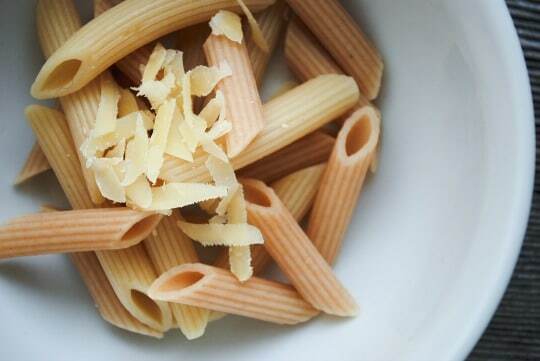 If your family isn’t sold on whole wheat pasta, mix half and half with white pasta and give it a silly name. At snack time or as a pre-dinner appetizer, put some veggies in an unexpected container, like a glass, mug, or measuring cup. That curveball may be enough to make them more enticing. 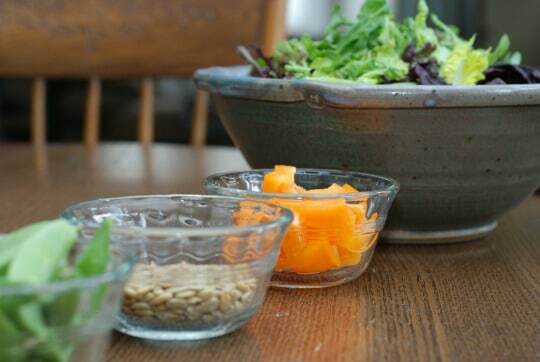 This is another way that serving veggies in unexpected ways can lead to happy results! 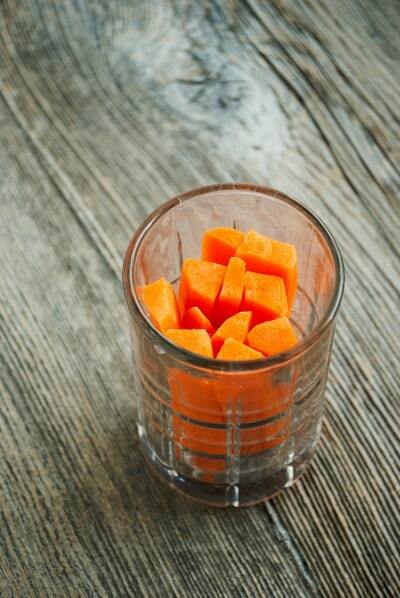 Keeping veggies big–even leaving the green tops on carrots and celery–can be fun for kids. 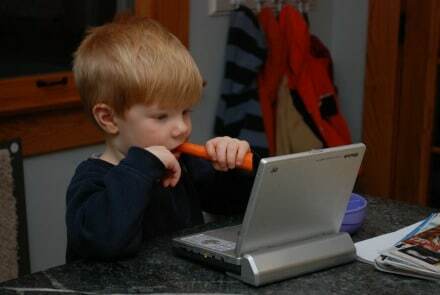 I used to ask my son if he wanted his carrot big “like a bunny” or stalk of celery big “like the Wonder Pets”. 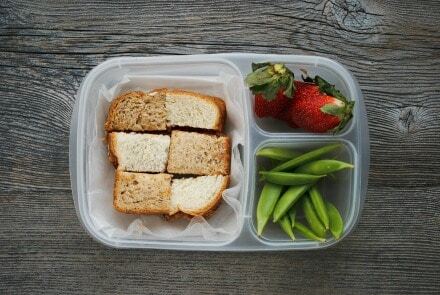 This fun lunchbox surprise is a good compromise if your kids like white bread but you want them to eat whole grain. Use one slice of white bread, one slice of whole grain, then cut into six pieces and flip three of them to create a checkerboard. I don’t know about your kids, but mine love eating stuff off a stick: fruit, meat, or veggies. 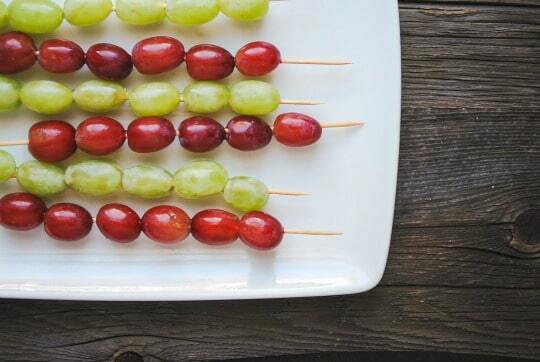 Pick up a bag of wooden skewers at the store–or use lollipop sticks , which aren’t as sharp. I like using onion in recipes, but my kids don’t like finding pieces of slippery onion in their food. 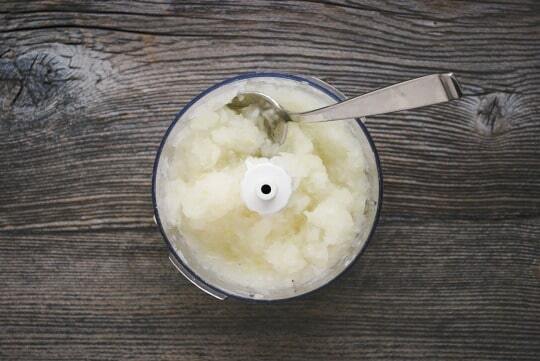 So I quarter an onion and puree it in my mini chopper until it becomes a paste. You get all the onion flavor but without the onion bits. I sometimes make multiple batches and freeze them flat in zip-top bags. I heard this idea from a friend and thought it was genius, especially since my younger son’s pepper radar is always on high alert. 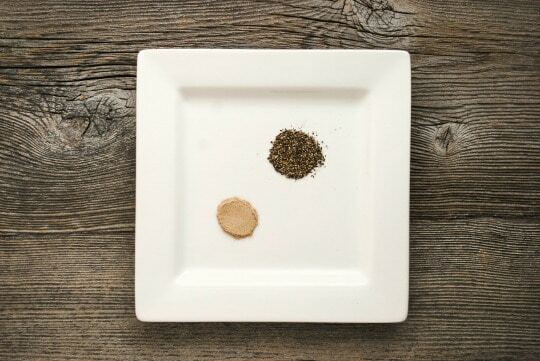 If you’ve got a child (like mine) who will balk at a food if there are visible pepper flecks–but you still want the pepper flavor–swap out black pepper for white, which disappears more easily into food. Roasting makes veggies crisp and brings out their natural sweetness. 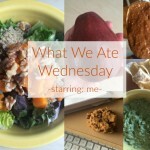 Roast broccoli, carrots, asparagus, potatoes, Brussels sprouts, you name it. 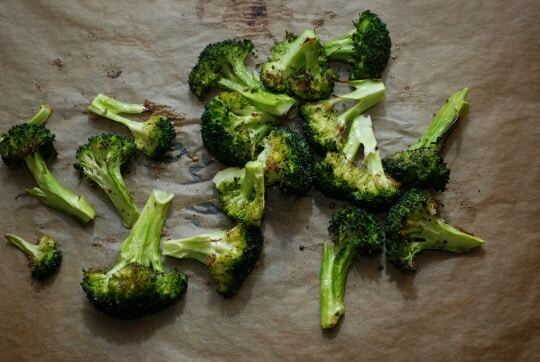 Just toss veggies in olive oil, sprinkle with salt, and bake at 400 degrees for 15-20 minutes or until brown and crisp. 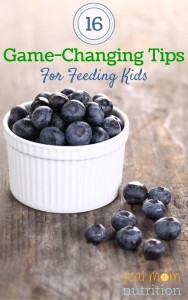 Kids like having control, so try putting meal components in dishes and letting everyone choose what they want. They may not take everything–and that’s okay. But giving choices reduces the pressure on them, which may lessen some of their resistance. Ask your kids to be recipe reviewers, rating foods on different scales (taste, aroma, appearance) or how well they like it. 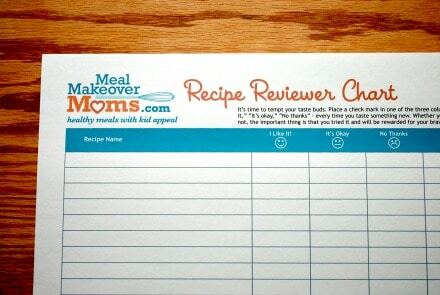 You can download and print this free Recipe Reviewers Chart (shown above) from the Meal Makeover Moms. For more ways to add fun to dinner, including playing “restaurant” and other games, read 6 Ways to Add Fun to Family Dinner. 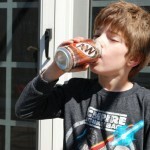 Do you have any tried-and-true tips that work for your kids? Please share! If you’d like to feel less frustrated with your picky eaters, sign up for my FREE 7-week program called the Picky Eater Problem Solver Series. 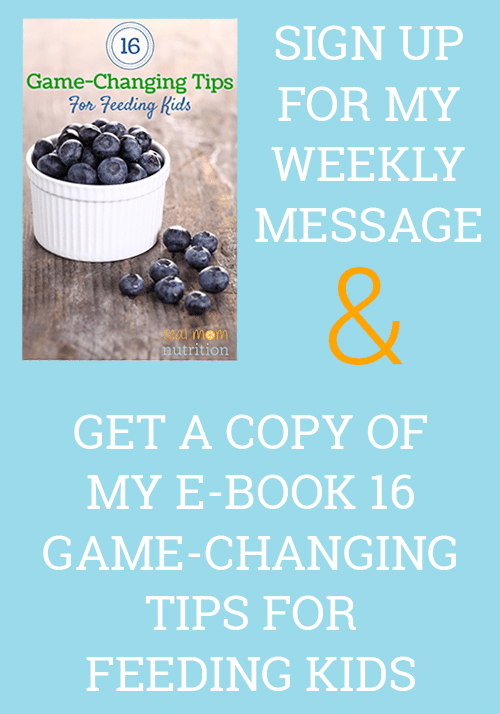 Each week, you’ll get a new strategy delivered to your inbox, plus recipes and resources. This post contain an affiliate links. 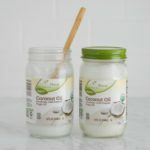 If you purchase a product through this link, your cost will be the same, but I will receive a small commission to help with operating costs of this blog. Thanks for your support! My Kid Likes Junk Food. And That’s Okay. I love the onion tip! I think I’ll use that with the big kid in my house… aka husband 😉 Pinning this for when my boys get a little older. 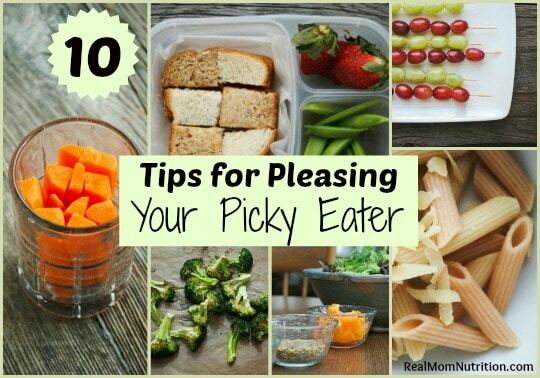 We are on the brink of the picky eating stage!! I think my family is keeping the lollipop stick industry afloat. Funny how that stick makes such a difference. Love the white pepper idea – hadn’t thought of that and love it! I love soup but I just couldn’t get my eldest to get on board. I decided to find a recipe for soup with meatballs since what kid doesn’t love them. Then I let him pick between three healthy options and decide which we would eat for dinner. That night he announced to all that the soup was delicious (before even eating it) because it was his choice. Score one for mom! I remember my sister hating soup but if we put fun stuff in it like pasta or carrots, she would clean the bowl.